I am so lucky to be involved in this amazing cause. A few bloggers and I have joined together to put together this even to raise money for these sweet boys fighting cancer. You can go here to donate and learn more about this event. 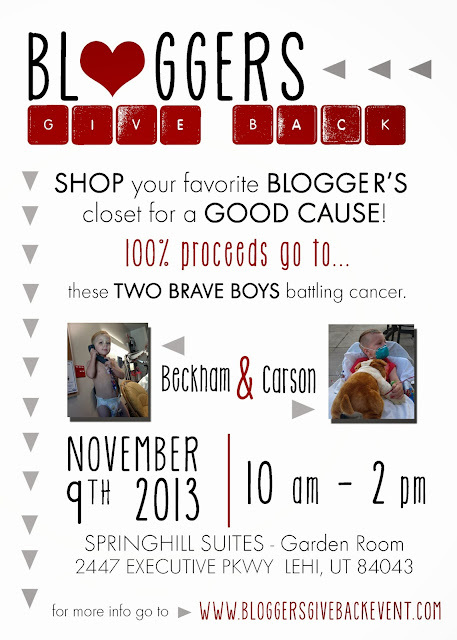 Join me and everyone involved to help make a difference in these two boys and their families life. 100% of the proceeds go to these families.